Bad weather is good weather for photography. That's why I always hope for rain, fog or snow when I'm photographing wildlife. 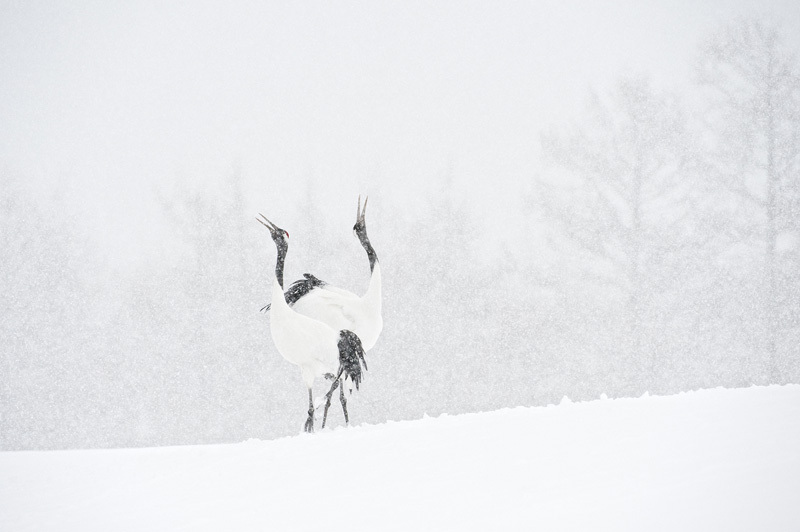 This image of two Japanese cranes was shot on our Japan workshop. On the last day of our visit to this location we were treated with endless falling snow, creating a wonderful atmosphere. Japanese cranes are highly endangered, so it's a real privilege to spend a few days photographing these elegant birds.